The world is consuming more chocolate than it can produce, and it's getting worse every year. Gone are the wasteful days of the chocolate fondue. We’re now in an era where the world is eating more chocolate every year than cocoa farmers can produce. According to the Washington Post’s Wonkblog, we ate 70,000 metric tons more cocoa than we grew last year. To put that in everyday terms, that’s 6,363,636,364 bars of Dairy Milk, says the Mirror. And big candy companies are predicting that it’s going to get much, much worse, reports Bloomberg. In 2020 the chocolate deficit will reach 1 million metric tons, and in 2030 it will hit 2 million metric tons. In other words, the world is running out of chocolate. Why is this happening? For one thing, we’re eating a lot more of the stuff, reports Wonkblog—the Chinese are buying more of it every year and we’re all munching increasing amounts of dark chocolate, which has about 7 times for cocoa than regular milk chocolate. Other factors that affect global output are drought and disease in growing regions. 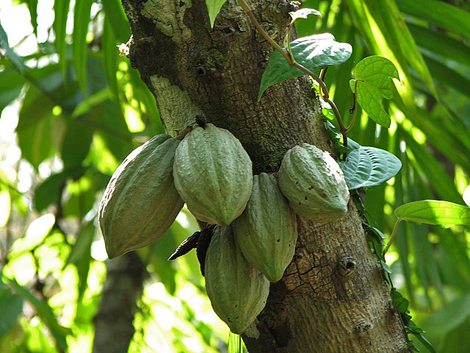 Dry weather has impacted yields in West African countries like Ghana and Ivory Coast, where much of the world’s cocoa is produced. And a fungal disease called frosty pod has wiped out a third of the world’s crop. Scientists are working on new breeds of cocoa tree that are disease resistant and can have higher yield, reports Bloomberg, but a lot of them sacrifice taste. While they work out the kinks, that Hershey’s bar is going to keep getting pricier, so start stockpiling now.